Make sure the movable horizontal bar near the entrance is arranged so the gold ball points away from the doorway. 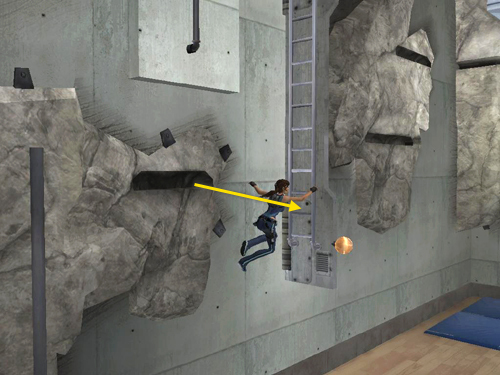 Also, position the movable ladder and movable rock wall so both are extended perpendicular to their respective walls. This will enable you to reach the next 2 silver rewards. Follow the same initial steps used to get bronze #11 (i.e., wedge to horizontal bar, vertical bar, movable horizontal bar, sloping rock, etc. 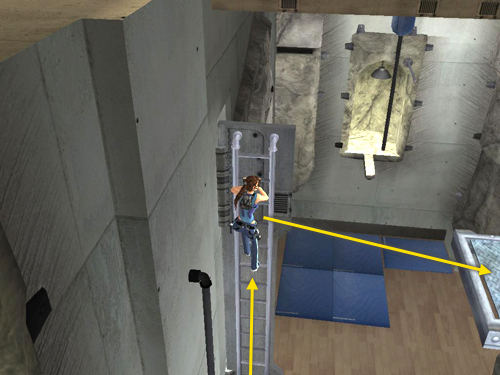 ), until you reach the small horizontal crevice in the rock just to the left of the movable ladder. This time, jump to grab the extended ladder. 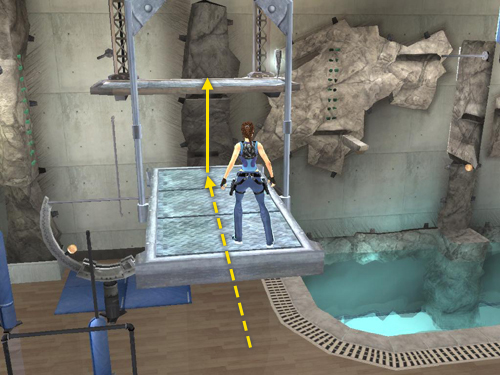 Climb to the top and jump to the right onto the platform suspended from tracks in the ceiling. Let Lara's weight carry the platform forward as far as it will go. Then jump to the next platform, where you'll find a silver reward (8/10). If you want to go for the next reward from here, don't drop down yet.